Two Minerva class corvettes decommissioned by the Italian Navy have been delivered to the Bangladesh Coast Guard (BCG) following upgrade and conversion at the Fincantieri shipyard in Muggiano, La Spezia. 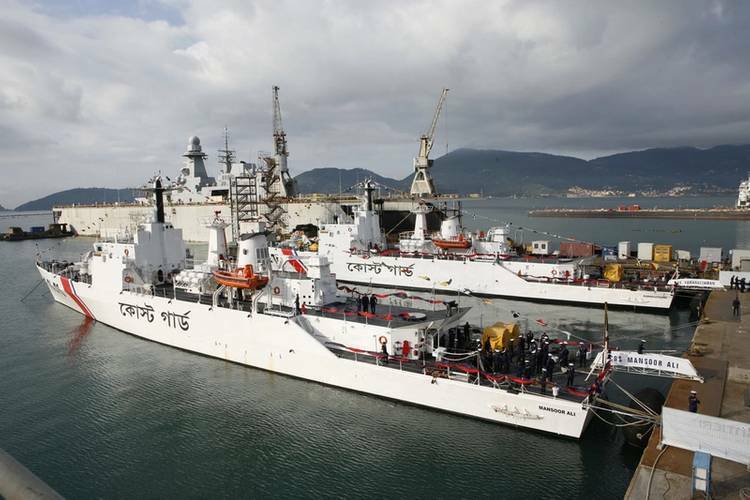 Urania and Danaide, renamed Karamuzzaman and Mansoor Ali, are the final two units part of the supply contract of four offshore patrol vessels (OPV), to the BCG, which have been retired from the national fleet in March 2016. 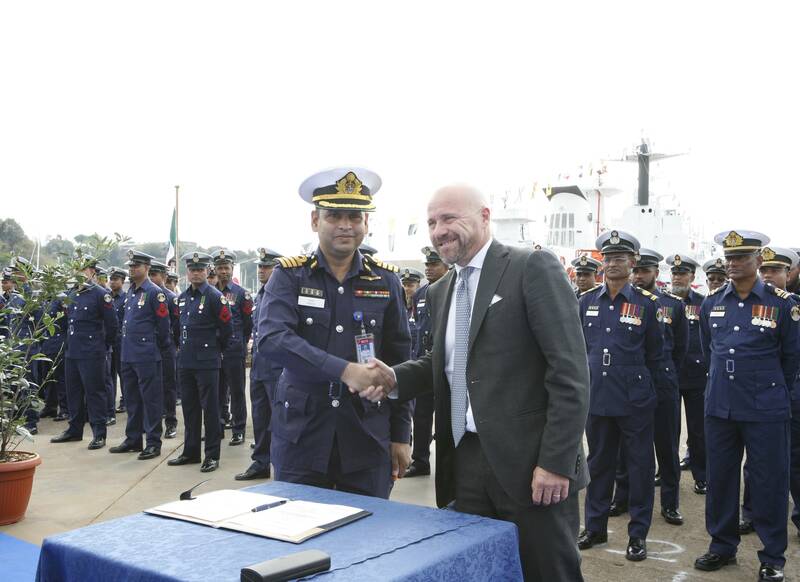 Together with Minerva and Sibilla, renamed Syed Nazrul and Tajuddin and delivered in August 2016, these vessels will form the backbone of the Bangladesh Coast Guard’s fleet, with an extension of the lifespan by more than 20 years. The vessels will be used to patrol the country's maritime boundaries and traffic in its Exclusive Economic Zone, with capabilities to contain environmental pollution and to rescue and assist civilian populations in the case of humanitarian emergencies. 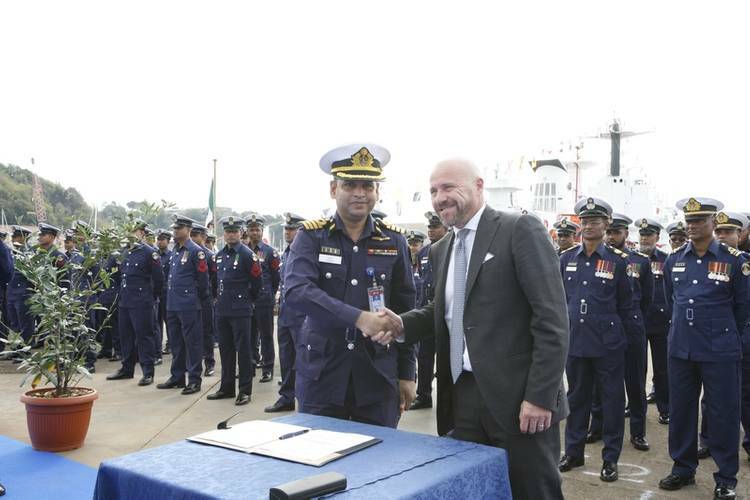 Attending the delivery ceremony, among others, was Mostafa Kamal Uddin, Secretary to the Ministry of Internal Affairs of the People’s Republic of Bangladesh, Rear Adm. AMMM Aurangzeb Chowdhury, Director General of the Bangladesh Coast Guard, while Fincantieri was represented by Paolo Frino, Deputy Senior Vice President Fincantieri Services.